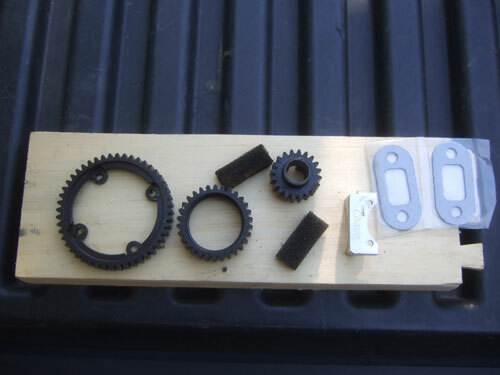 Like always I am a sucker of deals and this time I saw this on hpibajaforum.com a set of heavy duty transmission gears, team chase carb filter and steel reinforced exhaust gasket for $40 shipped. Considering a brand new set of HD gear cost $90 and the Team Chase Carb Diaphragm Filter cost $25, I think this is a pretty good deal. Too bad I am converting my Baja to brushless, I do not need the Team Chase Carb Diaphragm Filter, and gaskets anymore. 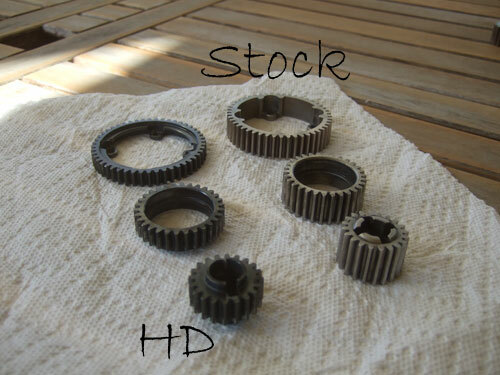 Here is a comparison of the stock gears on the right and Heavy Duty gear on the right. 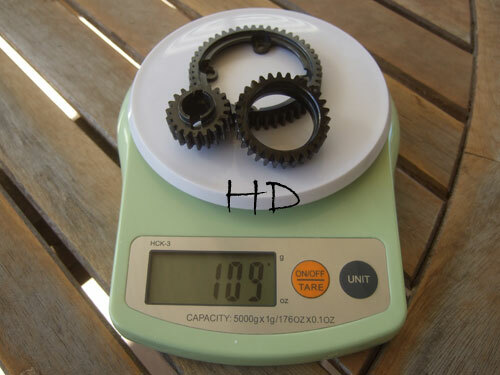 "New from HPI Racing is a Heavy Gear for the transmission of the Baja 5B. 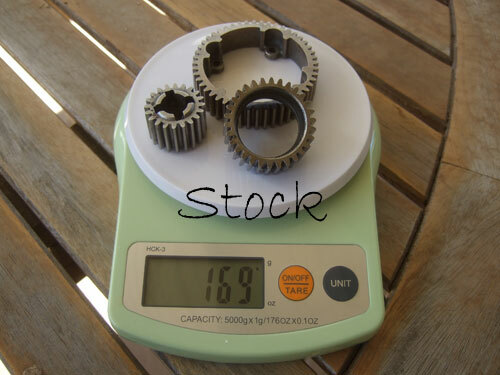 This gear is precision machined from high carbon steel. With a smoother finish to the teeth and more precise roundness, this gear has less friction for quieter running, increased efficiency and longer life than the stock gear. A thinner profile provides weight savings over the stock gear for quicker acceleration and decreased overall vehicle weight."